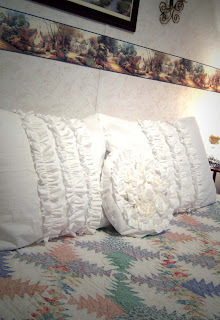 I love the country style of decorating and it's slowly taking over my whole house! 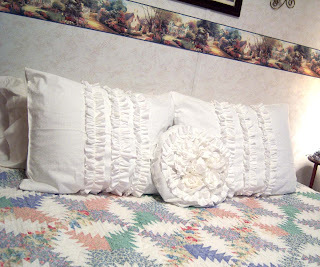 Something about it speaks "warm and cozy" and that's just the feel I want my family and guests to have. That being said - I'm working on re-doing my laundry room in the country style - but trying to do it with as little costs as possible. I've been hoarding my birthday money for a few weeks now and decided to visit a local country store and see what I could find. 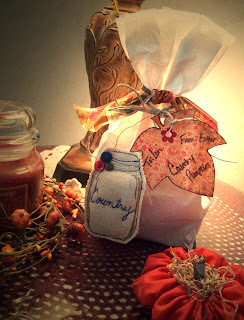 I purchased 4 things -- the wreath, a small lighted house, a little country jar, and a few "rag balls" in different sizes. 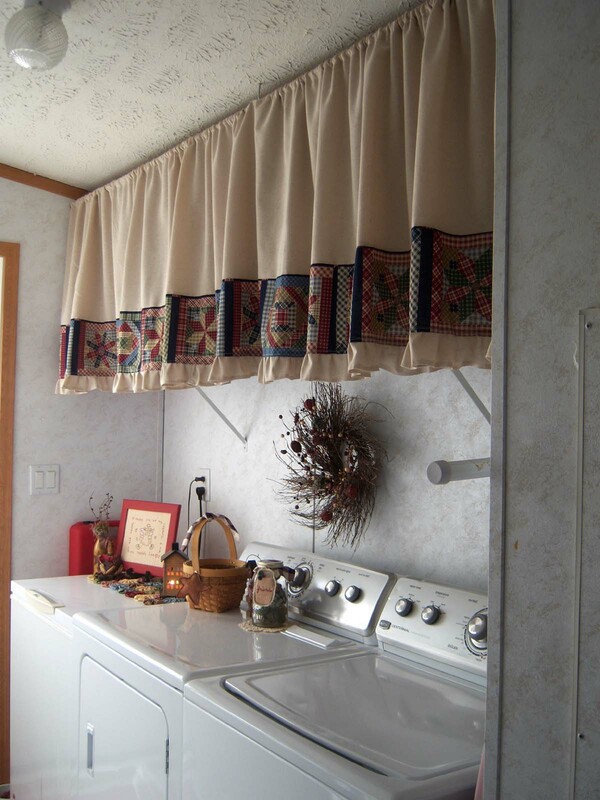 I'll show you more on them later this week -- but today I'm featuring the curtain I made to cover up the shelf above my washer and dryer. 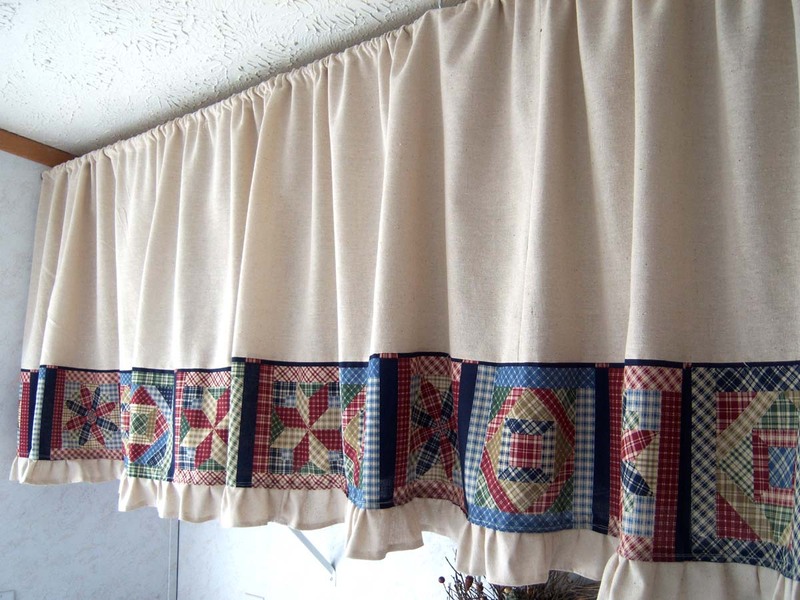 After I left the country store I hit upon the idea of making my curtain out of muslin material. Two reasons --- 1. It looks very country 2. 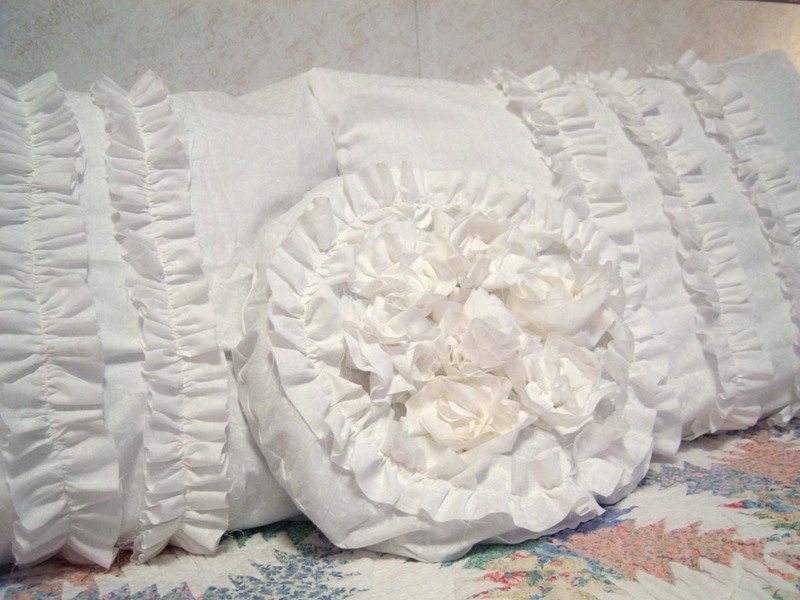 It doesn't cost very much per yard and I'd have enough of my birthday money left to afford it! I stopped by our local Wal-mart (which has just started selling material on the bolts again -- so happy about that!) 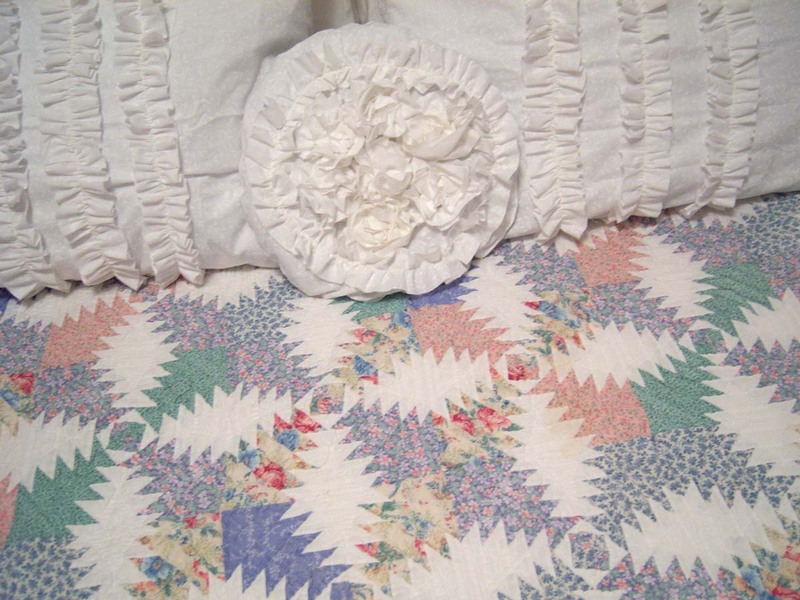 and found what I was looking for and also a cute quilt looking print to add as a colorful border at the bottom of the curtain. 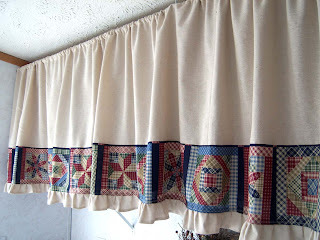 I only needed one yard of the quilt print and about 3 yards of the muslin for this curtain. 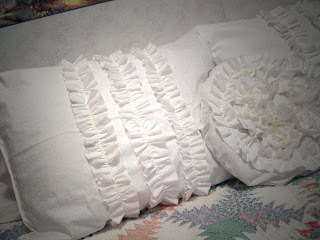 I'm super happy with how it turned out -- especially since I have very little patience in sewing. 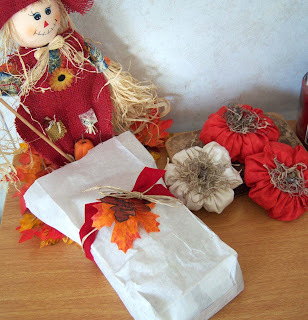 Come back tomorrow and I'll show you some more of my homemade decorations! Another card for the birthday girl (whose birthday is today!). 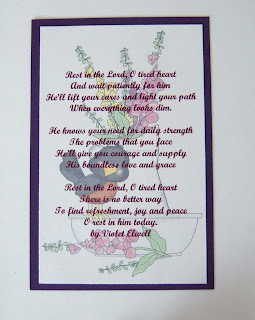 I don't enjoy the occasions that call for sympathy cards, so while this card was a lot of fun to make - the circumstances surrounding it were not fun at all. 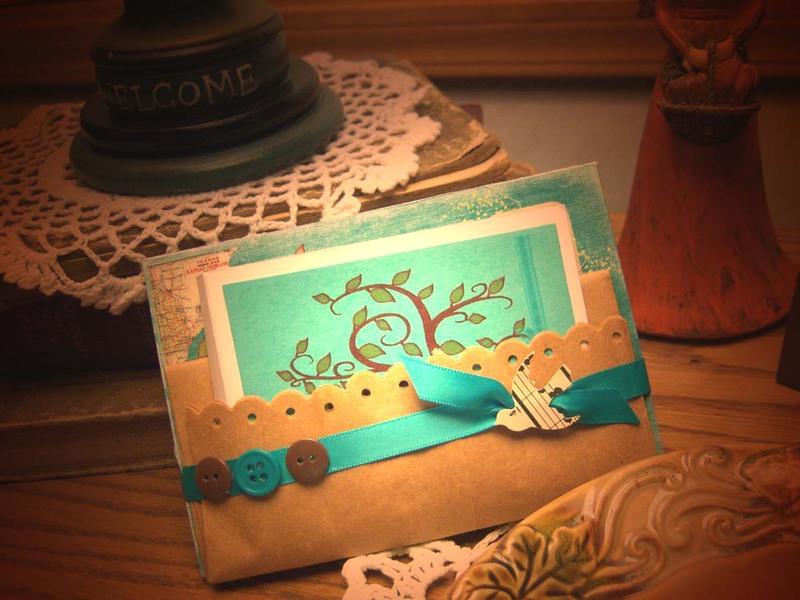 I just love the way she uses the Martha Stewart branch punch and had to try my hand at it. While mine is not quite as perfect as her's, I was pretty please with how it turned out. 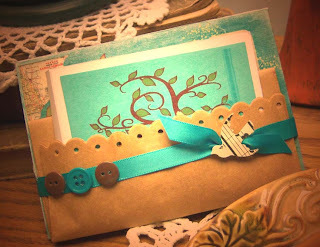 You'll also notice I did some doodling around the edges of the card -- it just looked like it "needed" something and being the "pile it on" crafter that I am I had to fill up that "plain" space. 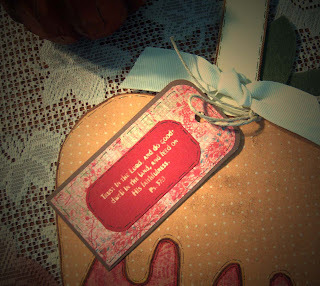 For the inside I lightened the cover image and printed a poem over-top that Abby posted on her blog sometime back. they're having an awesome sale right now -- over 2,000 sets for $1 a piece! 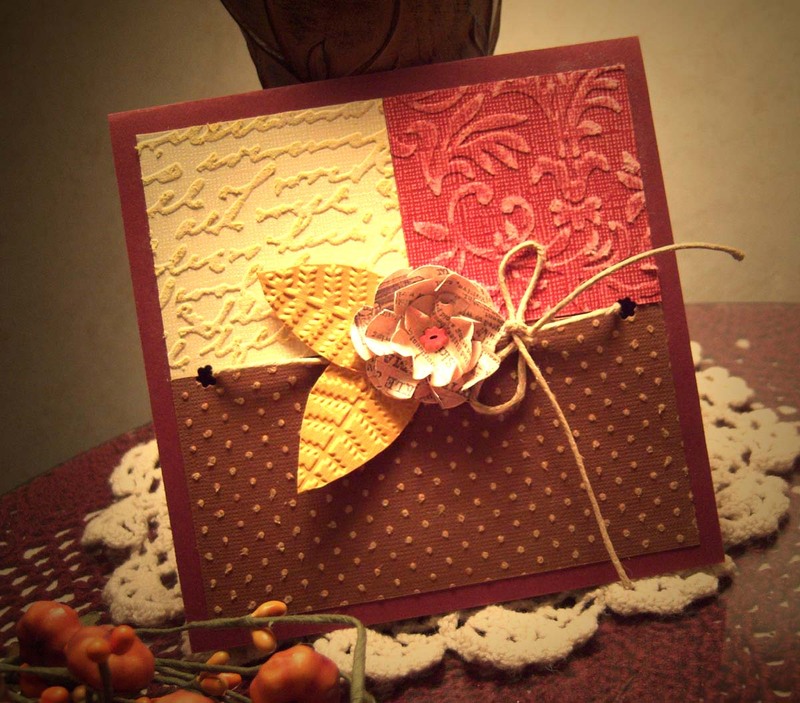 Another card for the "birthday girl"
I'm really happy with how this one turned out.....and it was a LOT of fun to make! 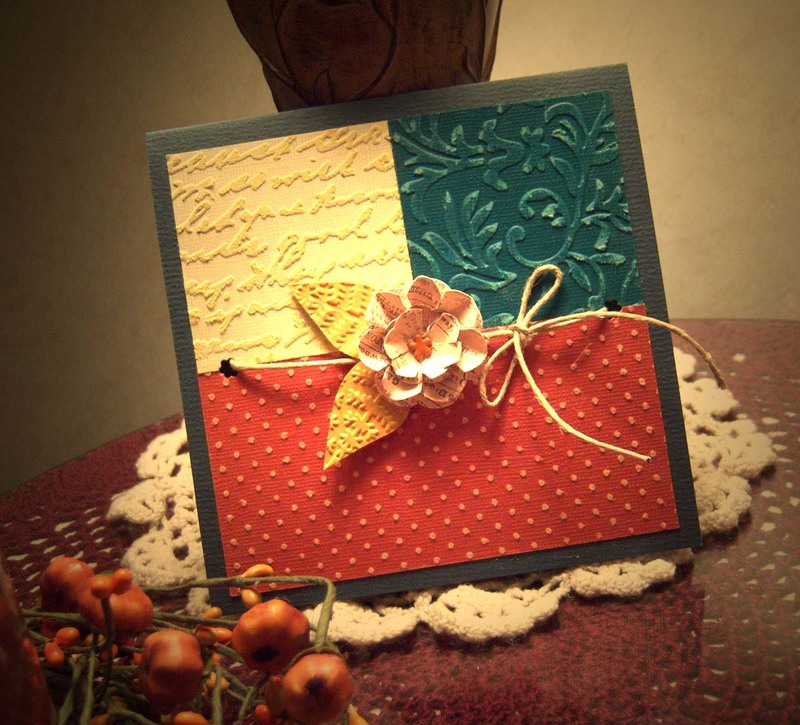 Another card for the birthday girl's present next week. A friend's birthday is coming up next week and she gave me strict orders not to buy her a birthday gift. The ONLY things she wants is some of my homemade cards. So I've been working to fulfill her wishes this past week-end. If you follow me on Pinterest you've notice my Paper Crafts folder is filling up! 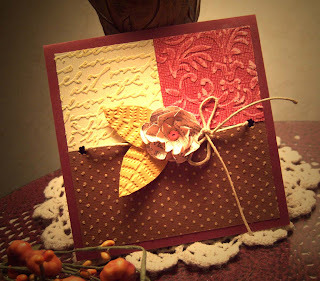 I got to thinking -- "What is the use of a whole pile of pretty cards in my folder if I don't use them for inspiration?" So I printed off a few of them that I especially liked (and thought I had a chance at duplicating!) and set to work. I'll be sharing the cards I made my friend along with the card that inspired it over the next few days. 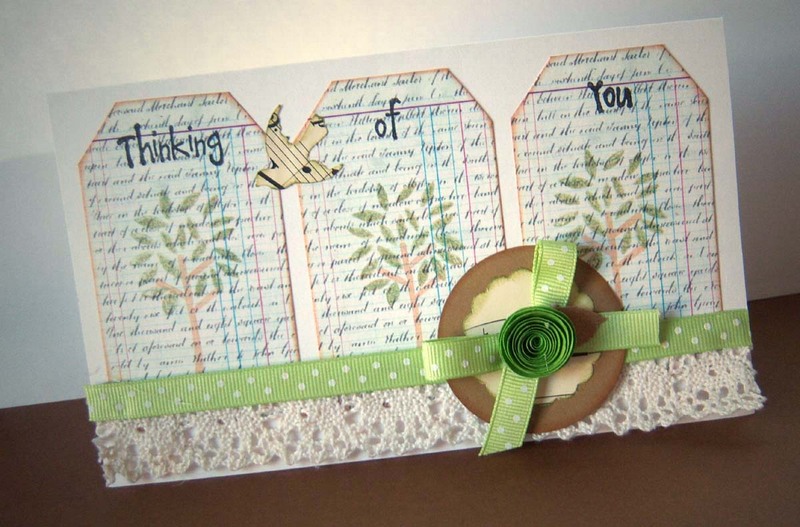 Here's the inspiration for this first card -- more specifically those three tags in the background. As I've mentioned in previous posts -- I've been experimenting with some digital items. The tags on this card are part of those experiments. then I went back and printed some Script (also from Mel Stampz but I can't seem to find it on her blog) over top the ledger paper. I made up a little gift package using one of my digital cards. The set included a little notebook to match the one of the digital cards I showcased last Friday. Below you see the outside of the notebook next to the card. 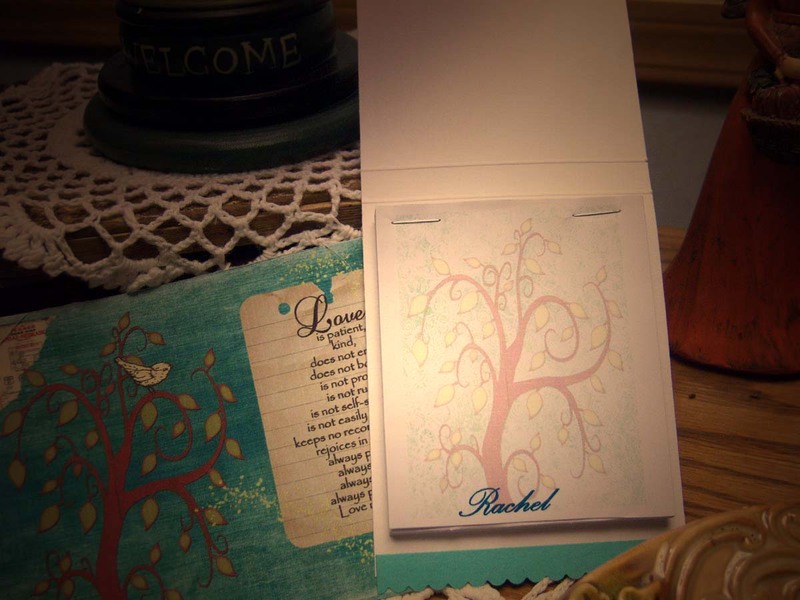 The inside has the same tree printed lightly on each page and personalized with the recipients name. 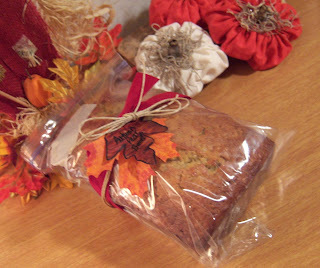 I used a paper bag to make my little package up with....added a ribbon, little birdie (thanks Abby! ), and a few buttons to complete the look. Oh and that border is punched with the Fiskars Threading Water border punch. 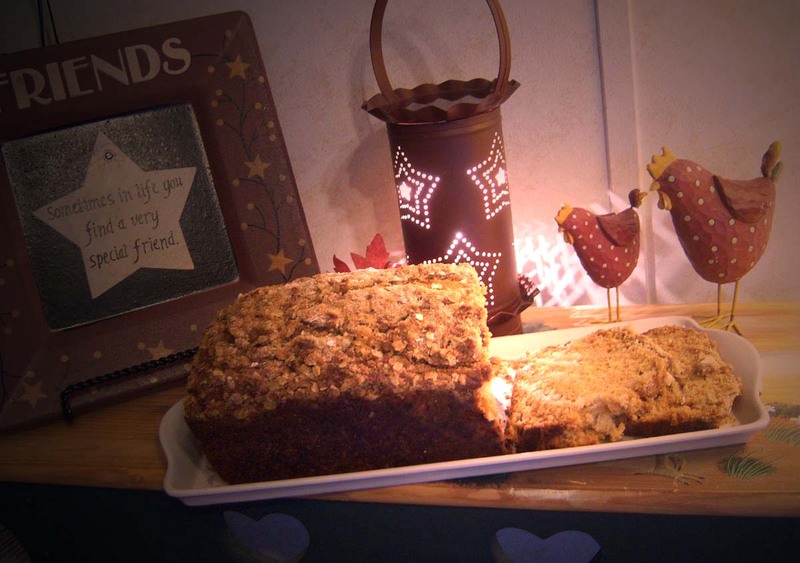 You have to try this yummy, moist bread -- just perfect for breakfast or maybe a bedtime snack! Mix dry ingredients together and cut in butter. Sprinkle over bread. Bake @ 325 degrees about 1 hr. and 20 minutes or until knife inserted in the center comes out clean. Let set in loaf pan about 8 - 10 minutes. 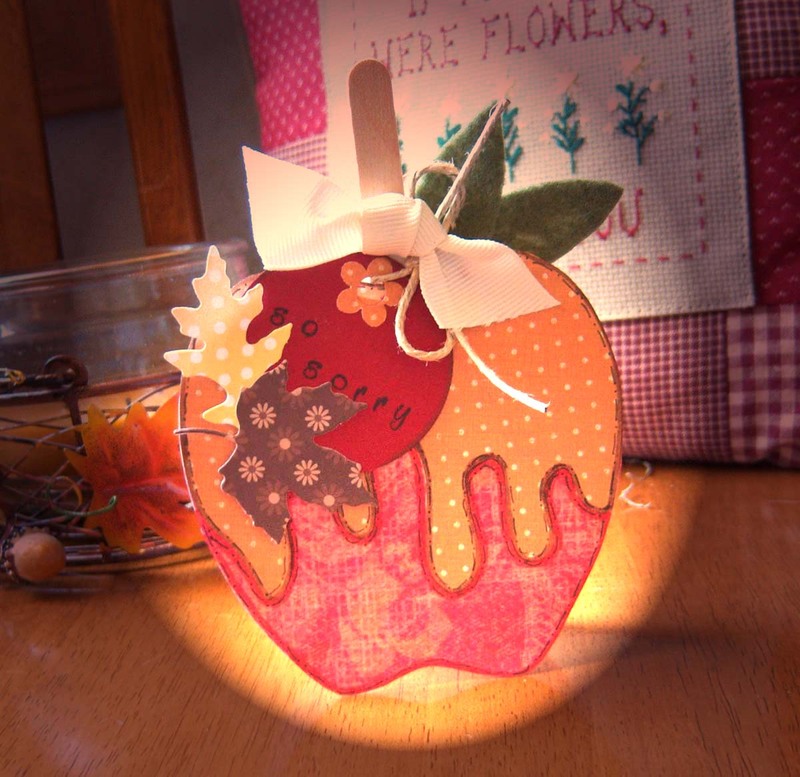 My friend Abby (from Little Birdie Blessings) is the one I have to thank for the digital inspiration. 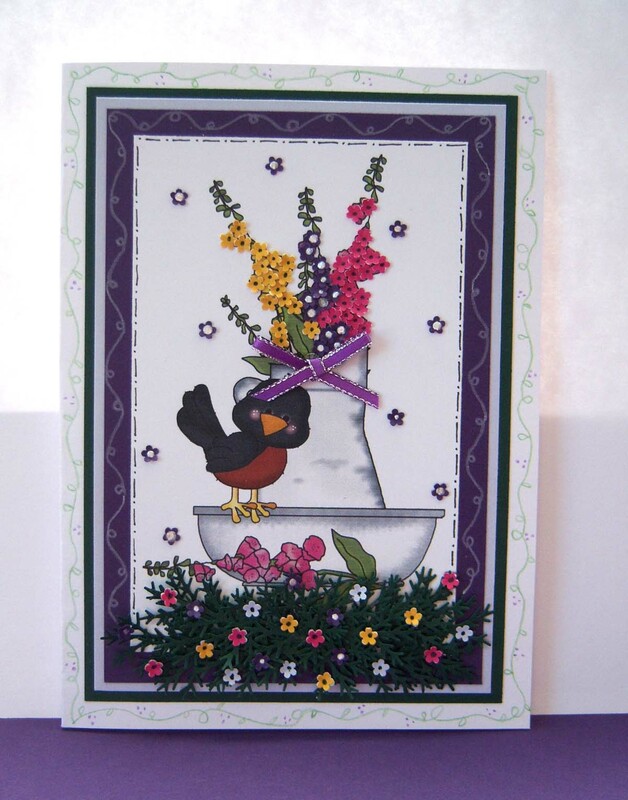 She sent me a cute little card with a birdie on it that was just beautiful.....and the entire card was done digitally! 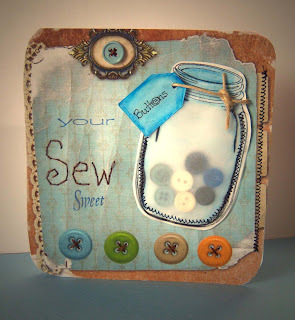 Well, that got me to looking around web for some free digital kits to try out. Of course I asked Abby too --- and she forwarded several wonderful sites to me. 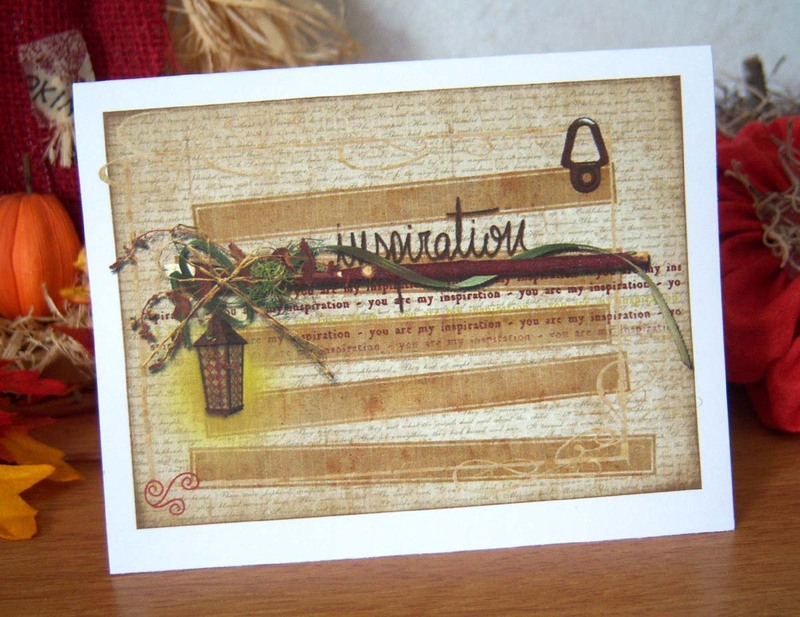 So today I'm sharing some cards I made up using only digital items, AND of course I'll share some fun sites where you can download your own digital images to work with. Nothing to drag out to create -- so it would be fairly convenient to take it along with you somewhere - especially if you have your digital images on a laptop! 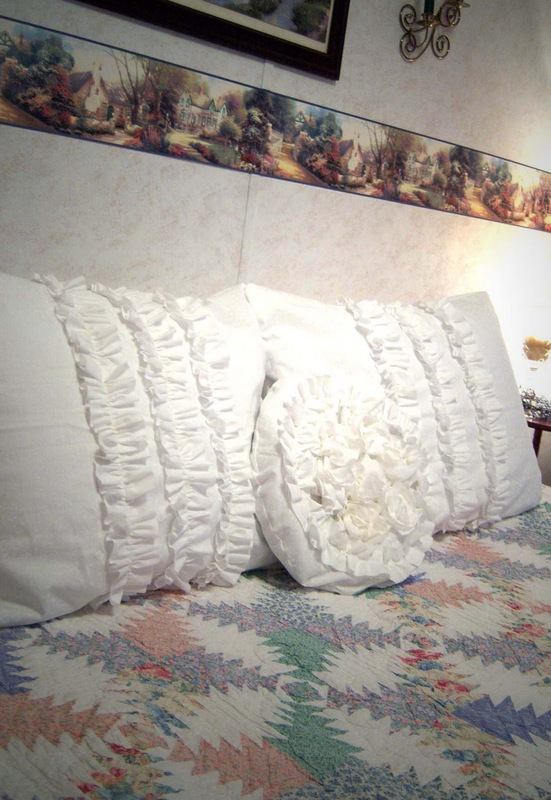 No mess to clean up afterwards -- big plus!! 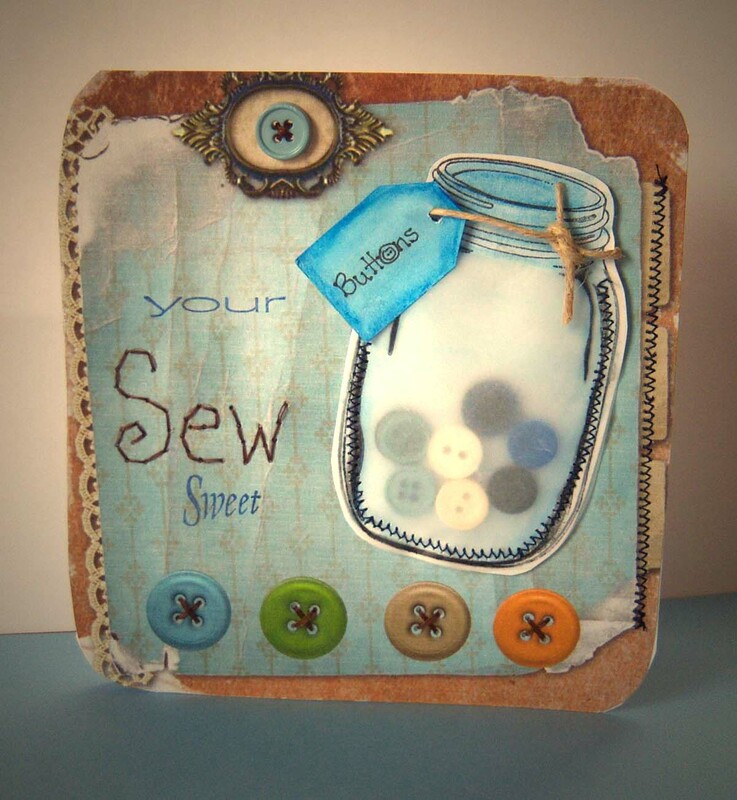 You can combine images from all the kits and layer away to your hearts content! No thick layers to think about protecting or paying extra postage for! Now that's not to say I'm going totally digital! 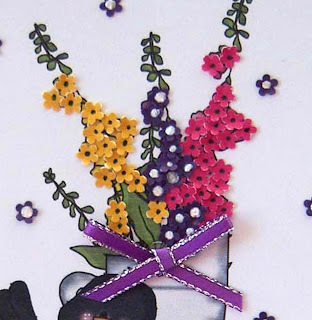 I still love the feel of 3D card with real flowers, lace, and other embellishments, BUT it's fun to mess around with the digital stuff too! 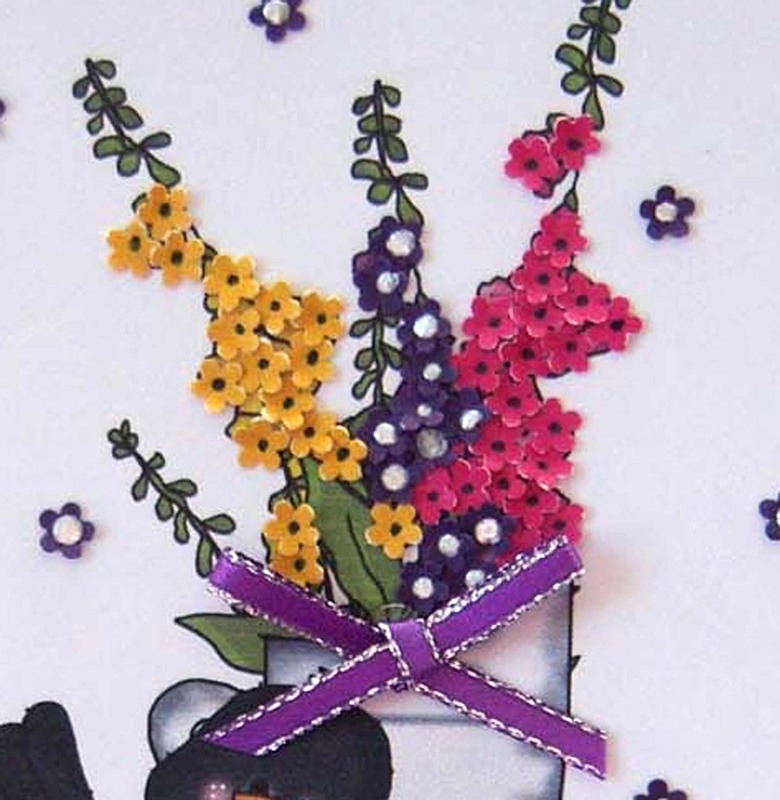 I know at least one lady that I make cards for on a fairly regular basis that would NOT like my digital stuff at all! 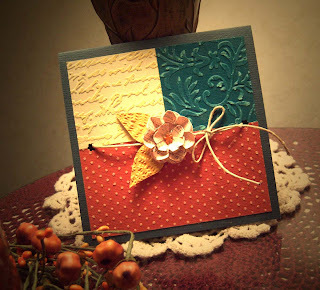 She likes LOTS of layers and extra stuff on her cards -- nothing plain and simple and certainly nothing one layer! SO...I couldn't go all digital even if I wanted to (ha ha!). Oh, and I just remembered some Photoshop Brushes that friend downloaded (for free) and then installed on my computer (back when I had dial-up and couldn't download big files quickly). 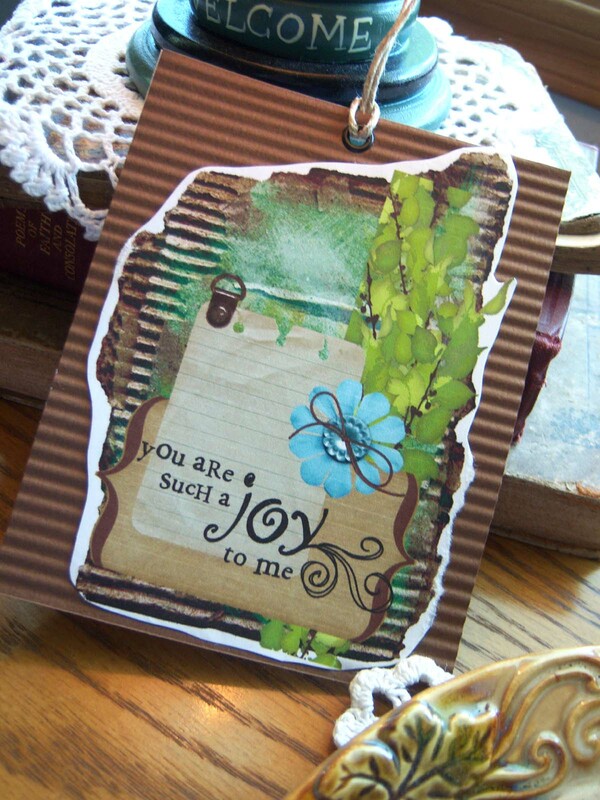 They are going to be so neat to combine with these digital scrapbooking sets! 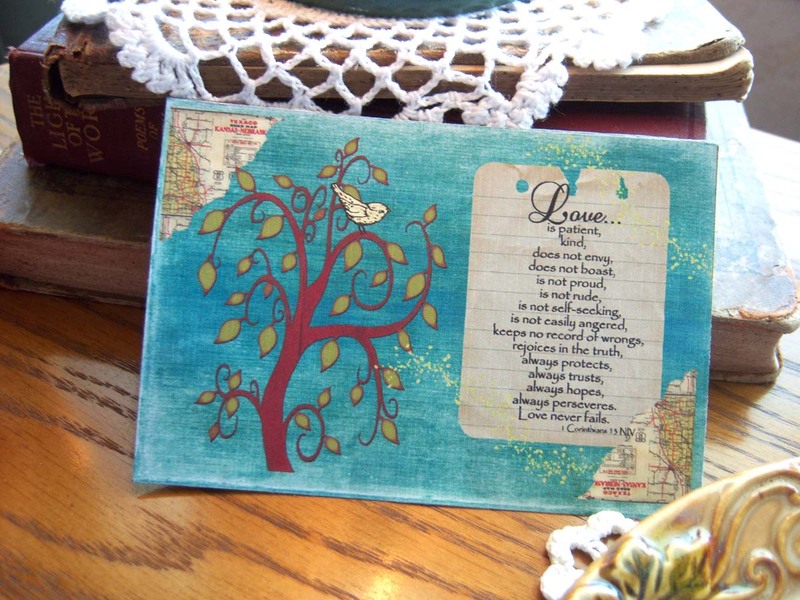 Paper Craft Memories has a whole page of Scriptures you can download and layer over your creations too. Abby also told me about Jessica Sprague -- she has one buck Wednesday where different kits are on sale for $1 that day. 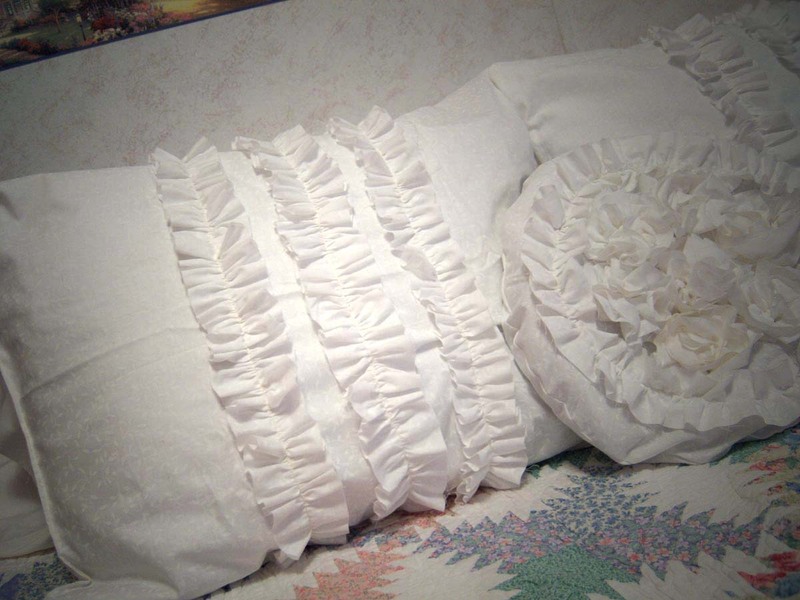 The two companies I used in my designs (above) were Shabby Princess and Raspberry Road Designs. I had so much fun combining images from different kits and companies. Thanks Abby for giving me the inspiration to try this and also for sharing most all of these fun links with me! Why don't you give it a try -- you just might find it to be lots of fun! 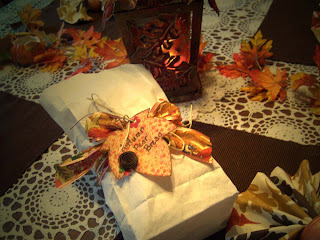 Wanted to share my simple leaf gift tags made from a paper bag. Inside is a loaf of Autumn Pear Bread -- so delicious! For the one above I added a brown rolled rose too. 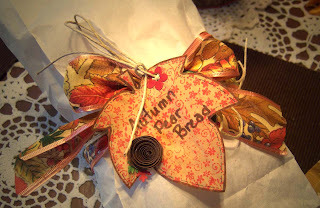 I tied a pretty fall ribbon around my bread and then tied some twine on too for a country look. 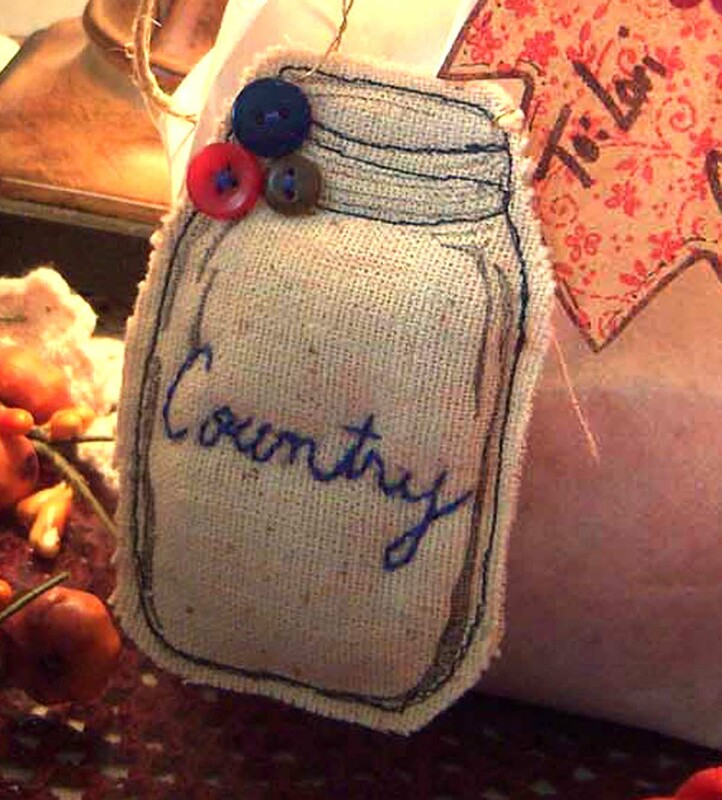 For this one I added a little stuffed Mason Jar that I made by stamping my Mason Jar stamp onto the muslin fabric - sewing around it and embroidering "Country" on the front. Those little buttons in the top corner added quite a bit to it I thought. 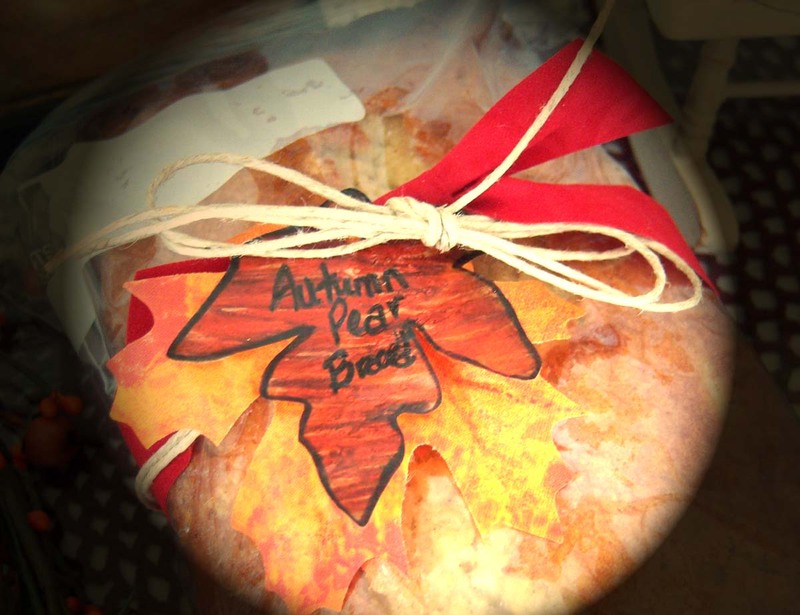 When my sister-in-law (Lois) visited me two week-ends ago, she brought this moist, delicious bread with her. I had never heard of it before, but soon became a fan and needed the recipe! 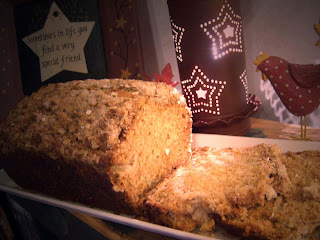 She used fresh pears for hers, but since I didn't have any on hand I used canned. It turned out just as yummy -- and was in fact gone within a day of my making it! I already have several people in mind to give it to as a "Happy Birthday" and "So sorry about your accident" gift. In a lg. bowl, combine flour, sugar, baking powder, baking soda, salt,and nutmeg. Cut in cold butter till mixture resembles coarse crumbs. Combine the eggs, buttermilk, vanilla, and pears. Fold into the flour mixture just until moistened. Bake at 350 degrees for 50 - 60 minutes or until knife inserted near the center comes out clean. Cool for 10 minutes before removing from the pan to finish cooling on wire rack. When my sister in law was here last week-end she brought me an Aqua Flo Water Brush that you can put bleach in and "paint" with. 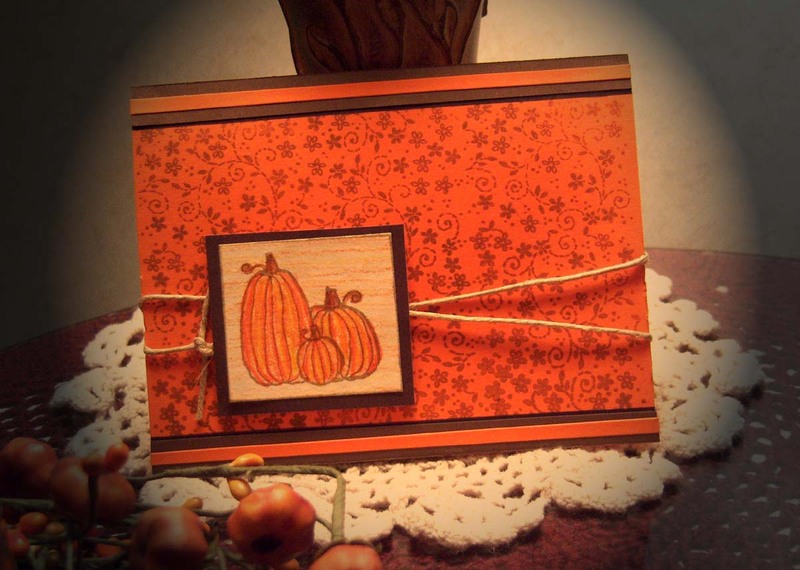 I decided to try it out on some fall stamps. I brushed the stamp with the bleach and stamped it and then over-stamped it with brown ink. You can't see the yellow one as clearly (it looks white in real life) - but the green one showed up real well. 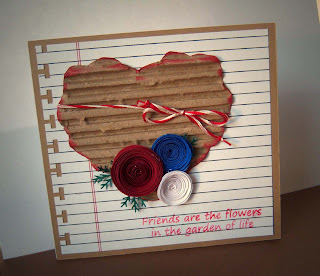 I also used this fun tutorial for Burned Paper Bag Leaves for the leaves on the right of this card. I didn't quite follow the coloring directions though --- I colored directly on my leaves with markers and smeared it around with my fingertip. It feels good to have had a few minutes to create last week, and to try a few new techniques! I was tickled to find this free caramel apple template at Stamp - N - Design. 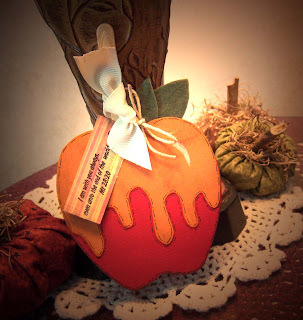 I decided to add some leaves, ribbon, twine, and of course faux stitching to make mine a "Country Carmel Apple." Really lovin' how this came out -- I think my creative juices are beginning to flow again! 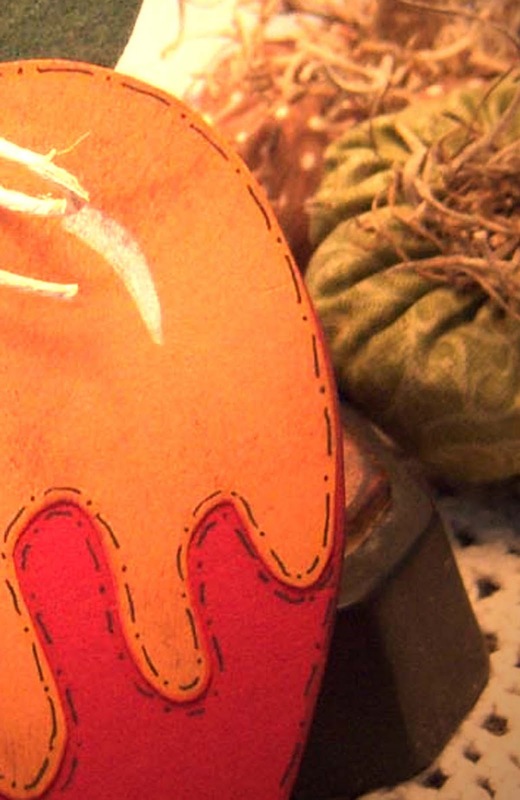 Here's a close up of the stitching - not sure you can tell it in the picture but I traced around the caramel with a yellow marker and around the apple with a red one -- just to add a bit of "depth" to it. I also tapped a brown ink pad all over the caramel to add a bit of texture. 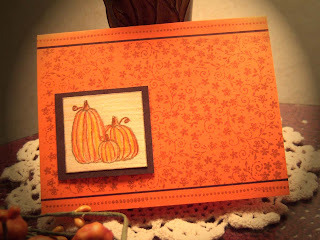 Since I really liked how these came out I decided to make my October bulletin board decoration in the same design. 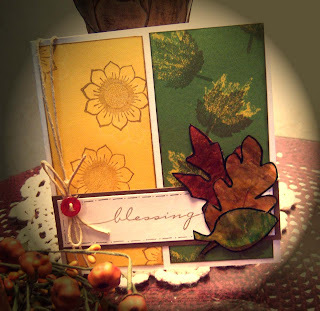 I used the same basic supplies as the cards except I changed it up a bit - using patterned papers instead of solids (Since I don't have a very large selection of fall themed patterned paper - I just used some K & Company paper in fall colors). 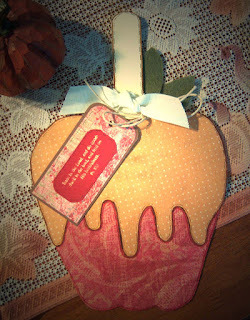 I used this apple as a template (since I needed a bigger one than Stamp N Design had) and free-handed my dripping caramel. 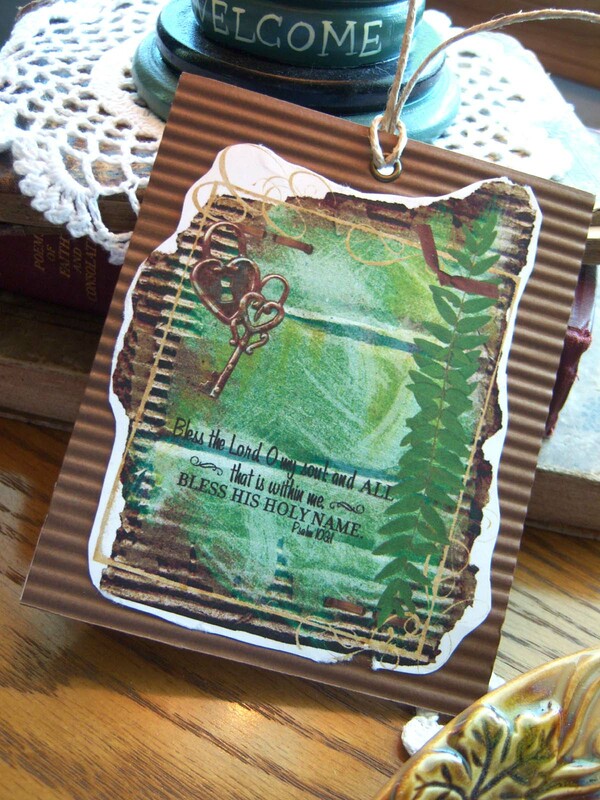 I'll share another bleach stamped project on Monday along with burned paper bag leaves -- come back then and check it out! Will you indulge me one more pic? 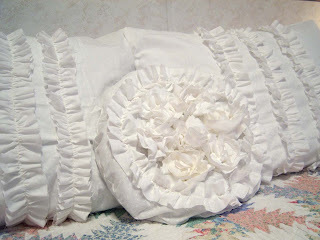 In case you can't tell -- I really, really enjoyed making these. 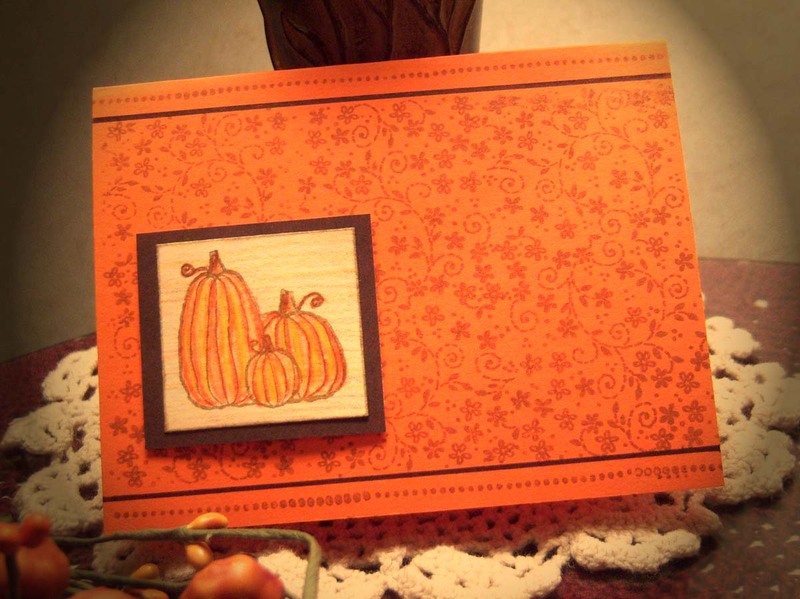 After I made the big one for the bulletin board --- I just had to make another little one -- this time with the patterned paper. Like I mentioned in a previous post -- I didn't get as much time to craft with my sister-in-law over the week-end as I would have liked. 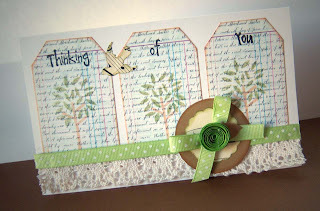 We didn't actually get to have a card-making party (like we usually do) but she did turn out two very pretty cards that I wanted to share with you today. 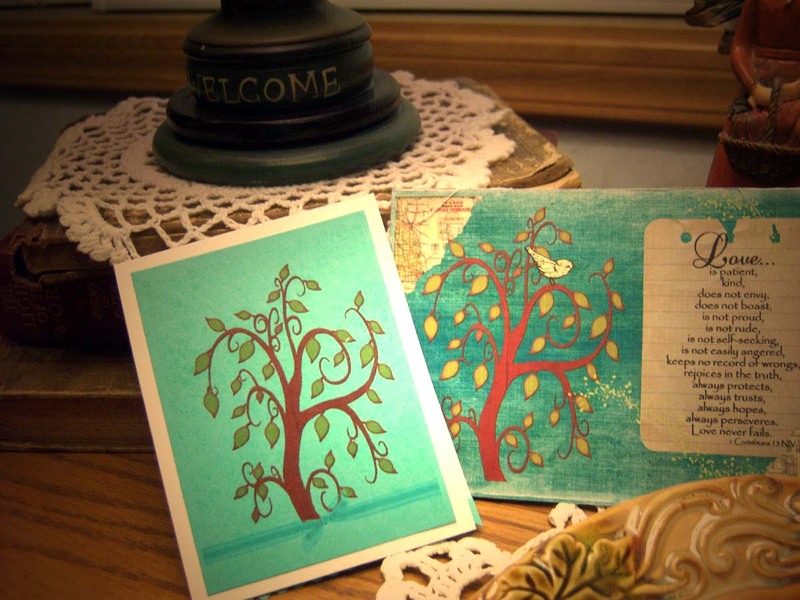 They're both done in the same style but with different papers. 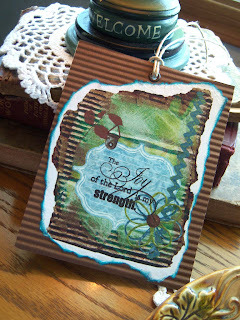 She saw this idea for embossing and sanding paper in one of my old Paper Craft Magazines. The paper she had was actually two different colors and made for sanding, but I'm thinking you could use regular cardstock and just have a distressed look with the sanding. #1 on my birthday list (really the only thing I could think of that I wanted)is "Fall Stamps!" You'd think that since fall is my very favorite season I'd own more than the few I do. Anyway --making fall cards can be challenging so I decided to try improvising using non-fall stamps in a fall-ish way! ----I.E. the background stamp - done in brown and the polka-dot border - also done in brown. 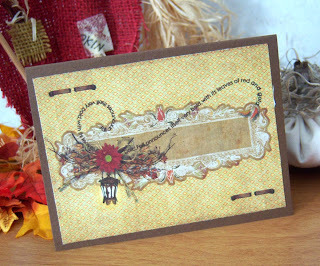 I thought these turned out pretty well for the small amount of "seasonal stamps" put into them! 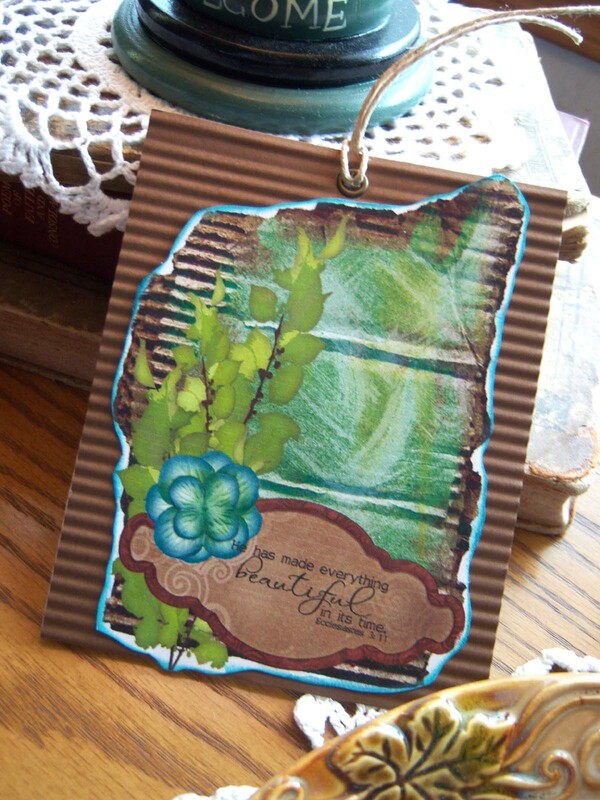 You'll remember my simple cards from earlier this year that utilized this same background stamp. You'll want to come back tomorrow and see the gorgeous cards my sister-in-law created over the week-end she spent here!